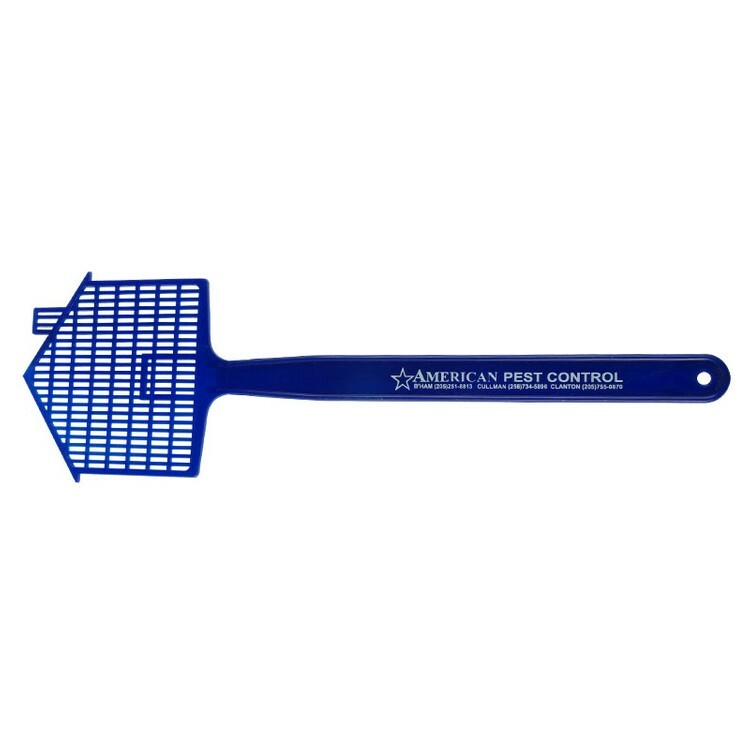 16" Flyswatter Our Flyswatters are molded in flexible polyethylene for increased durability and superior quality. Your customers will be able to see and feel the difference. 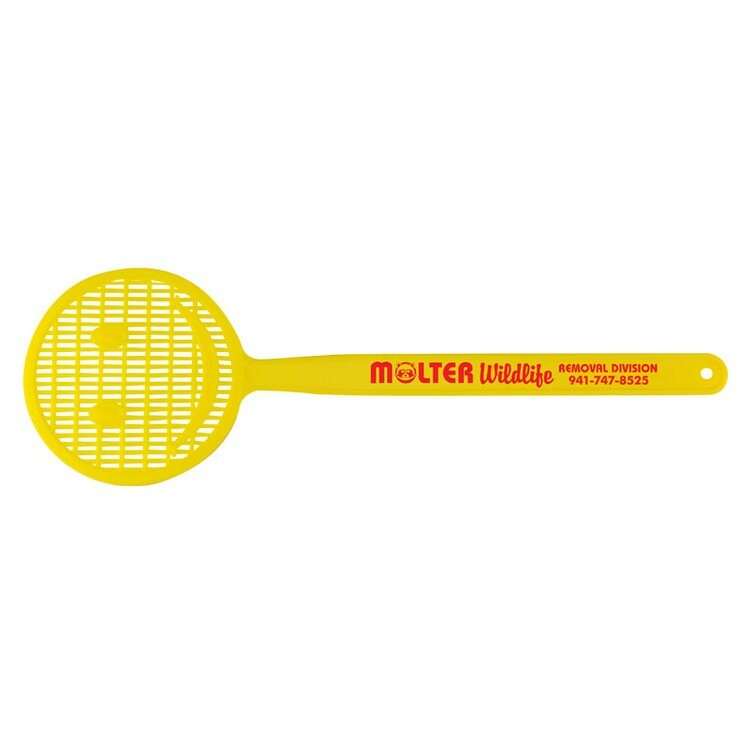 16" Flyswatter with house-shaped swatter head. Perfect for real estate and beach rentals. 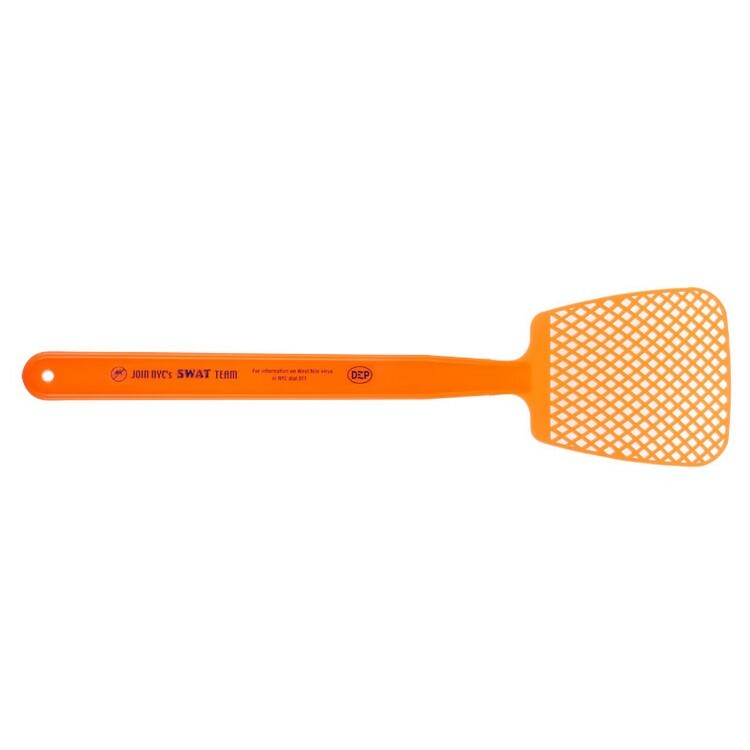 This plastic bug swatter is available in 4 appealing colors. 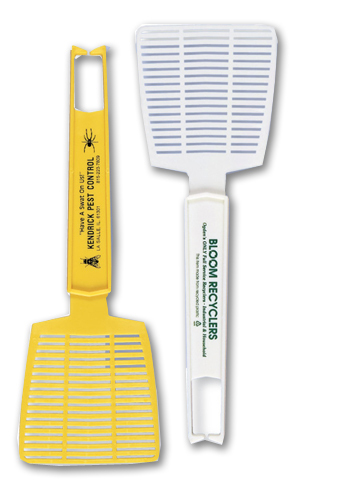 Whether clients have a stray insect in their homes or offices or prefer their camping with a little manual pest control. 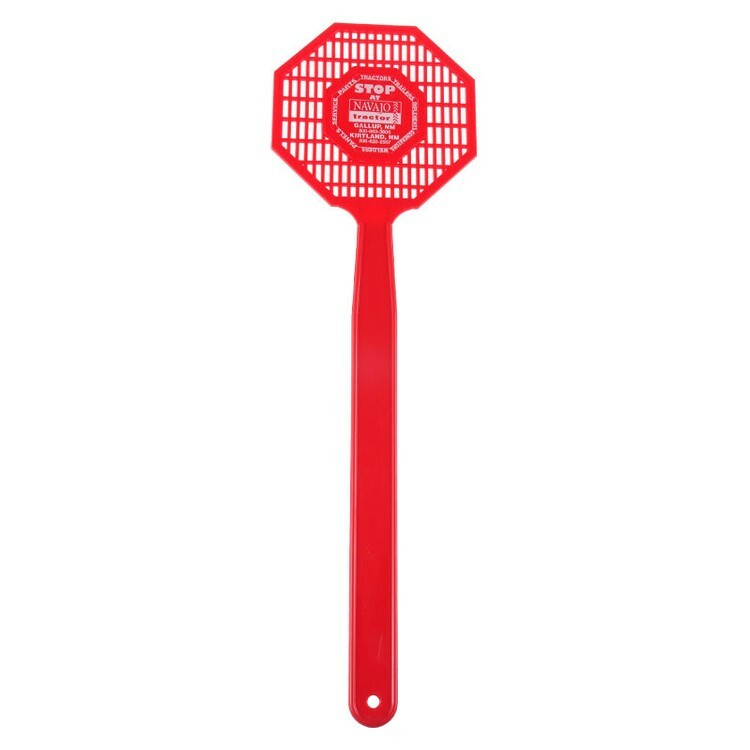 Compact size fly swatter ideal for use in vehicles. Hooked handle for easy hanging. Shown with 1 color imprint. 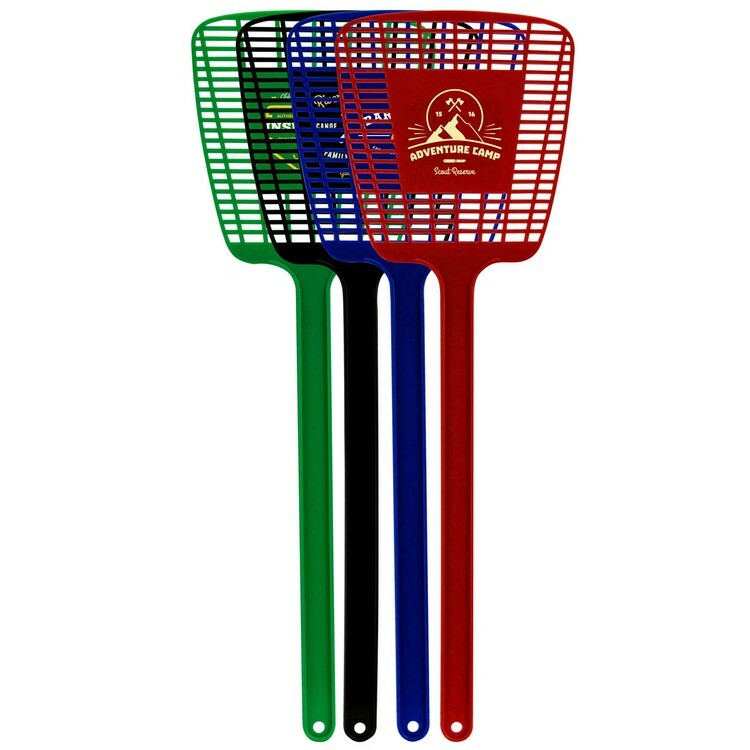 16" Flyswatter with a Stop Sign swatter head. Price includes one color, one location imprint. 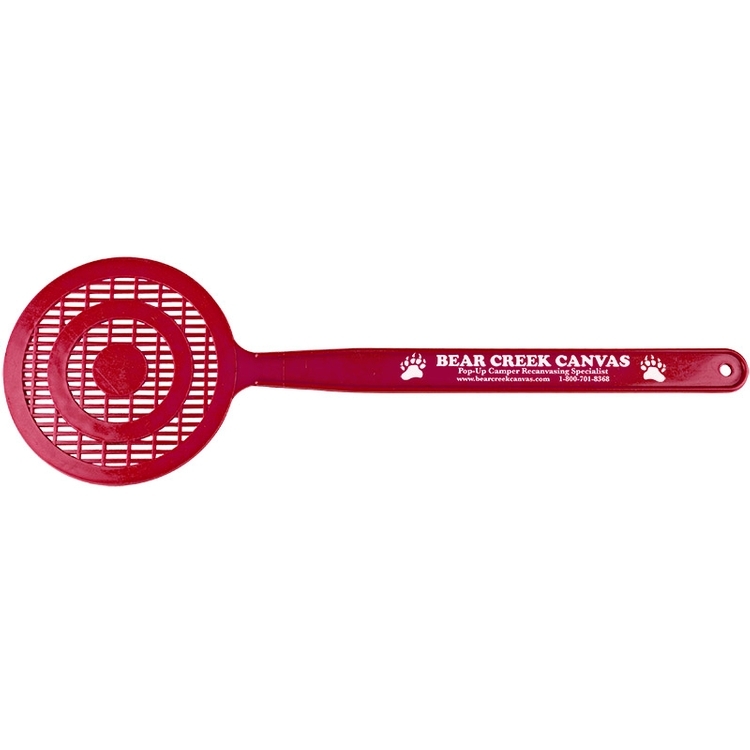 Makes a game of eliminating pests. 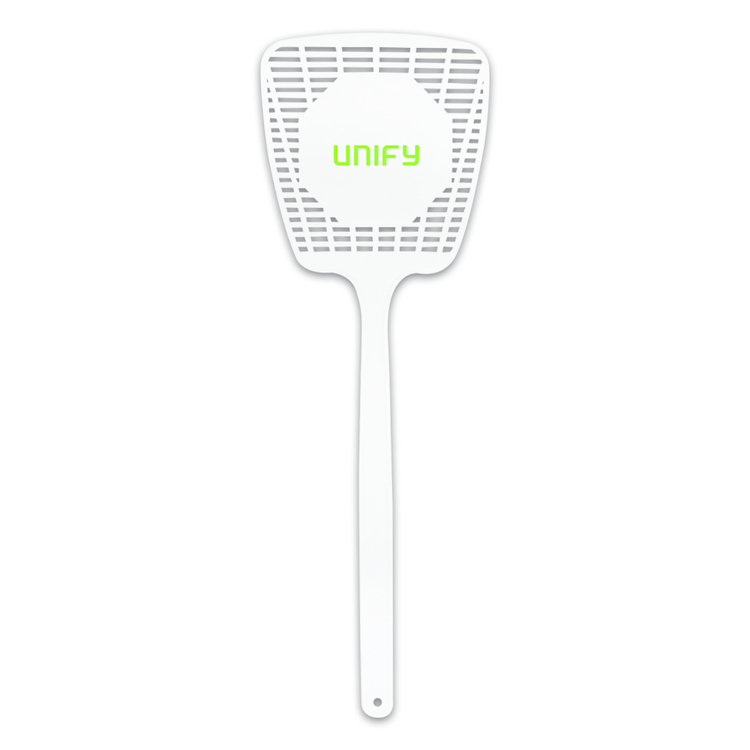 Target shape flyswatter. Shown with 1 color imprint. 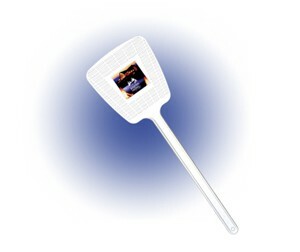 16" Flyswatter with a Target swatter head. Price includes one color, one location imprint. 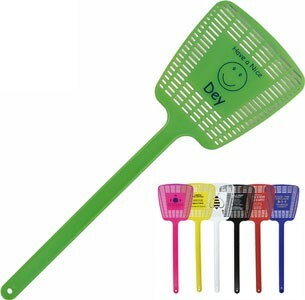 16" Flyswatter with a mischievous Smiley Face swatter head. Price includes one color, one location imprint. 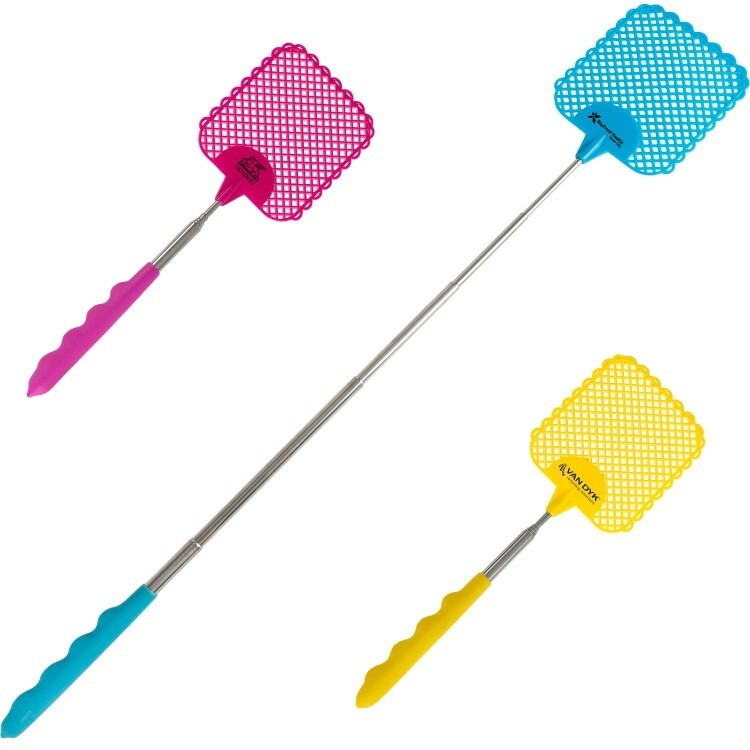 Unique butterfly shape flyswatter. Shown with 1 color imprint.